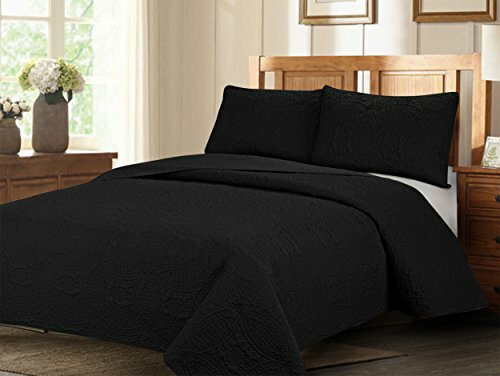 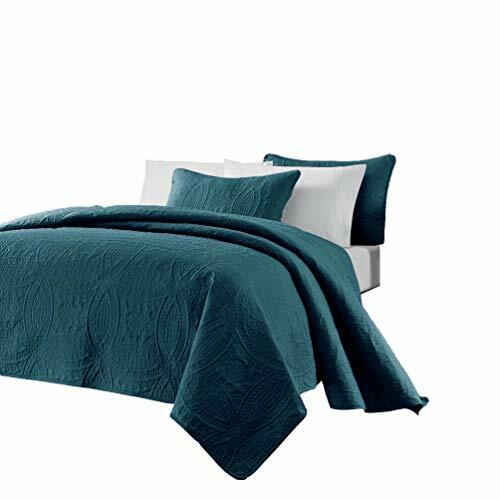 Size:King | Color:Brown/Gold The Madison Park Bellagio 5 Piece Jacquard Bedspread Set offers a luxurious update to your bedroom decor. 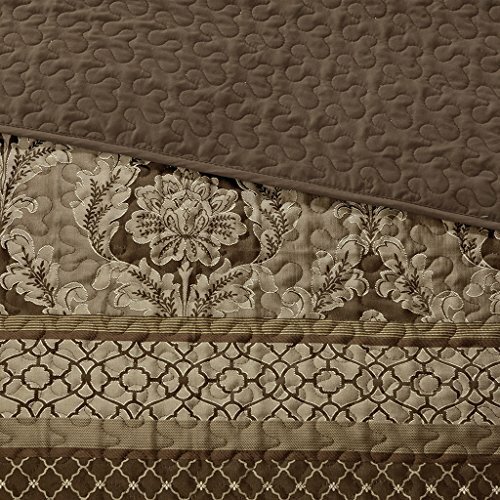 Made from quilted polyester jacquard, the brown coverlet and shams share leaf, woven striping, and ironwork motifs that are accentuated by elegant stitching. 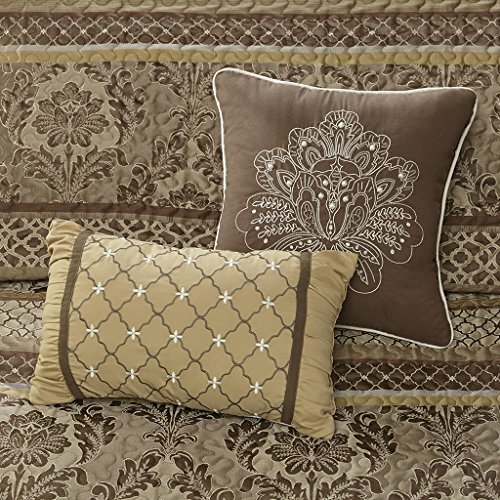 Flashes of gold are used throughout this collection adding a lavish feeling to your decor. 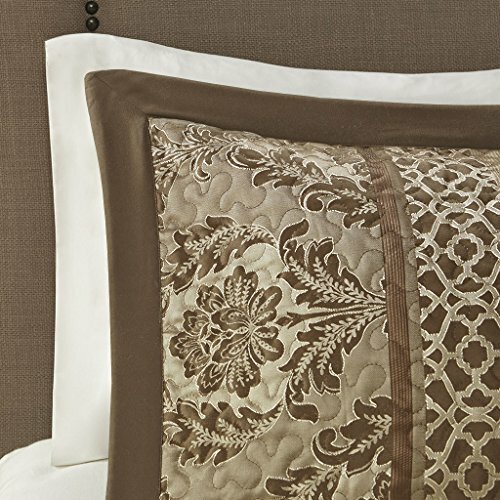 Two decorative pillows feature embroidered details that correspond back to the coverlet to complete the stately ensemble. 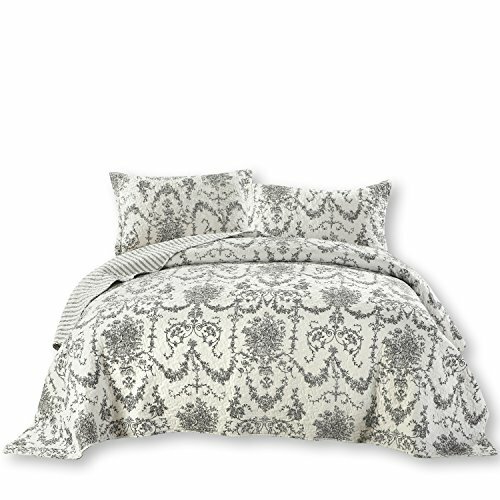 Machine washable for easy care, this jacquard bedspread brings an extravagant and traditional touch to your bedroom.